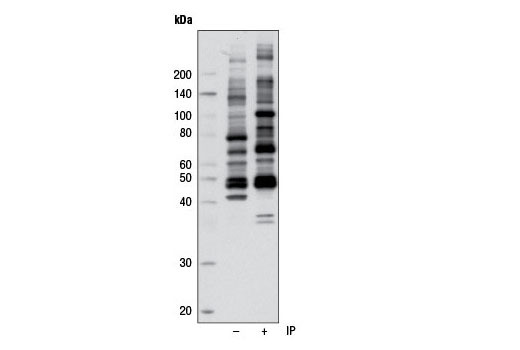 Phospho-AMPK Substrate Motif [LXRXX(pS/pT) MultiMab™ Rabbit mAb mix preferentially recognizes endogenous proteins and peptides bearing the LXRXXpS/pT motif. 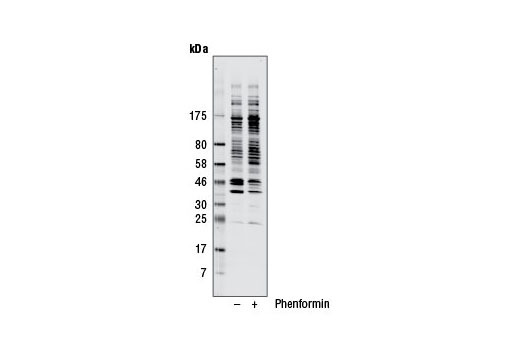 The antibody also cross-reacts with proteins and peptides that only harbor an RXXpS/pT motif. AMPK phosphorylates consensus motif (L/M)XRXX(S/T)XXXL (8). 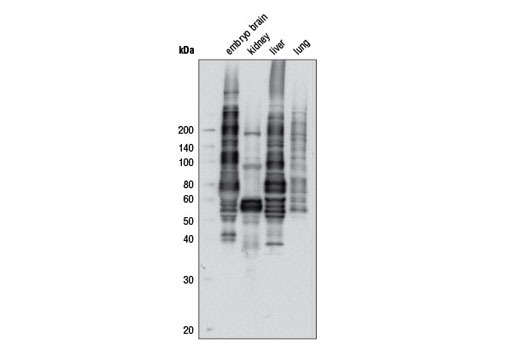 Antibodies recognizing the LXRXX(S/T) motif are very useful in the identification of AMPK substrates.